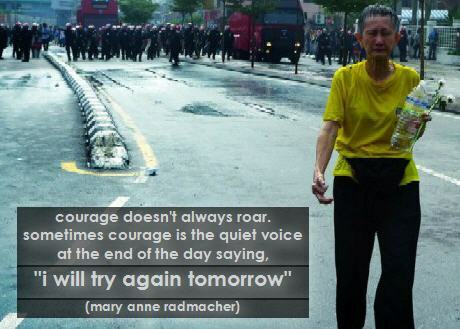 When I first came across this quotation by mary anne radmacher, I could really relate it to the story of Anne in the recent Bersih 2.0 (9 July 2011) in Malaysia. whom in the words of Charlotte Hew “… her spirit, passion and dedication put mine to shame.” I believe the picture alone speaks volume and there isn’t much else I could say to eloquently describe the courageous act of Anne. No matter how much the Malaysia’s authority had denied, on National TV, the firing of tear gas at the protesters and into the Tung Shin hospital, the truth will always prevail! 709 was a day where we saw Malaysians all over the world united as in a single voice to call for electoral reforms. Below was the story of Anne as told by Charlotte, posted with permission from her; pardon me that I took this long to put this up. As much as Symphony of Love is a site focus on love, peace and inspiration, injustice must be brought into the light and shown to the world. Anne, from setapak, took a bus ride down to KL, ALONE, in support of the rally. she was stopped 4 times, being asked her IC, and questioned by the police on why she’s wearing yellow. “why can’t I wear yellow?” was her reply. she didn’t know what time the rally was scheduled to start, she didn’t know where, she has no one with her; all she knew was to get down to KL, and stand for what she believes in. Anne teaches English in government schools for about 35 years (if i remember correctly). but her passion is really singing and dancing; and what she values most in her life now is freedom. 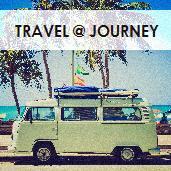 ← What do we live for? @ Hilary, I totally agree with what you said, “Why do we have to feel so scared (and threatened) in our own home land ,,, and by own countrymen?” One of the reasons I thought of is that the people are not united enough and they fail to see the ‘power’ they could have if only they stand together. It had been shown time and again in history that only when all are united can there be change. @ Meleah, very powerful indeed!